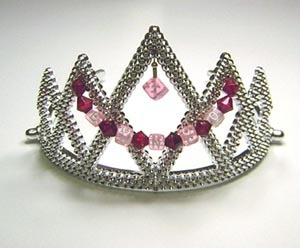 Bunco Tiarra Crown for the BuncFun with your Bunco group. Be party supplies, gift or accessorie, costume or a novelties item ... try this for that OH what hair accessories you win when you yell "BUNCO". The winners of Bunco can pass this Bunco Tiarra from winner to winner and be the Bunco Queen for the Party Bunco Party. Made of plastic, with ruby like beads and letters spelling the Bunco Enthusiasts favorite word ... Bunco. Hurry these Tiarra Crown items don't last long. (From the catalog #710B) styles vary. New multi color theme and styles coming for your Party Bunco.